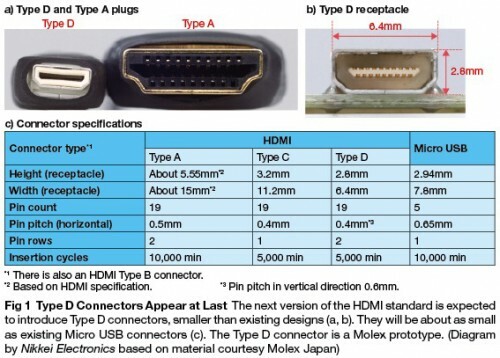 HDMI Type D Connector to HDMI Type A Connector A Male. 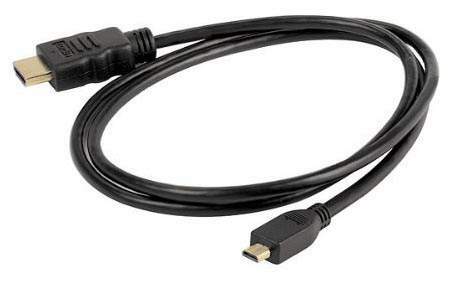 Allows easy connection of standard HDMI Cable to very Small HDMI Type D Port on Device. 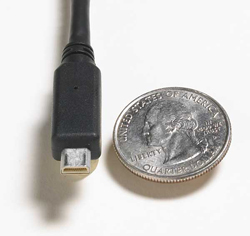 Used on Motorola DroidX on HDMI Type D Port. Used on HTC EVO 4G on HMDI Type D Port. Used on Many Cameras and Camcorders. Email if you have a Question.